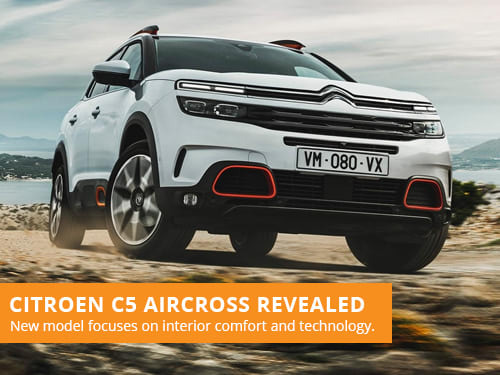 Citroen have revealed their all-new C5 Aircross SUV, a flagship model for the brand which focuses on passenger comfort and new technology. Citroen have revealed the third generation of their class-leading Citroen Berlingo Multispace prior to a debut at Geneva Motor Show. Citroen partner with fashion magazine ELLE to offer a new special edition variant of the C3 Hatchback with the Citroen C3 ELLE. Manufacturer group PSA Peugeot Citroen plan to offer an electric powertrain option for all Peugeot, Citroen and DS models by 2025. Citroen refresh their strategy of online vehicle sales, with a target to sell 10% of all Citroen models over the internet by 2021.